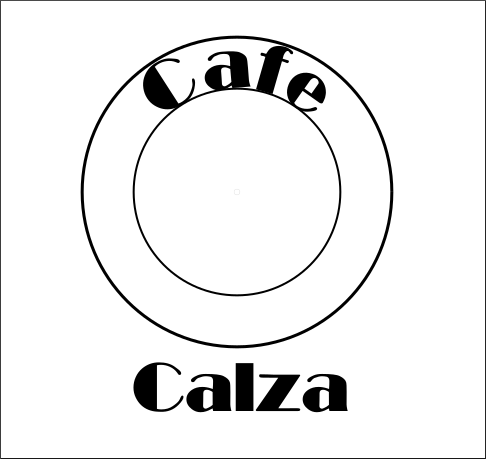 If you need to create a graphic with text that follows a path, Inkscape is a good choice of software to use. Although the same effect can be achieved with for example Gimp, the results are not always satisfactory as the letters can become distorted. Creating the image in Inkscape avoids this and also allows you to export the finished vector in any size you like without affecting the quality. 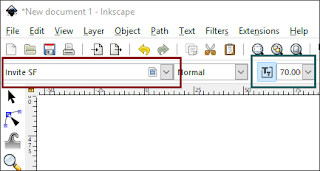 To follow this tutorial you'll need some understanding of the layout of Inkscape and its tools, although where convenient to do so these are explained in the hope that following this tutorial is made as easy as possible. There is also a video version of this tutorial on our YouTube channel, or you can watch the video at the bottom of this page. 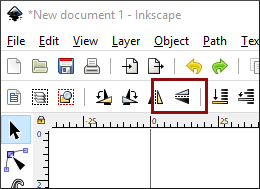 1/ Open Inkscape and hit the 5 key on your keyboard so the page fits the workspace. 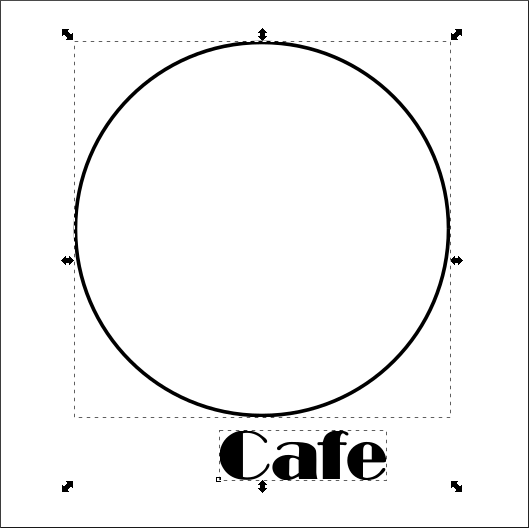 2/ Select the Ellipse tool, hold down the Ctrl key on your keyboard, and drag your mouse to create a perfect circle. 3/ If the circle is a solid colour, you can remove the fill by selecting the Fill tab to the right of the Inkscape window and hitting the X option. If removing the fill colour leaves the circle looking completely blank then a stroke colour needs to be added. 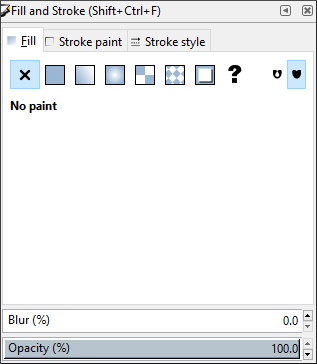 To do this, hold down Shift and select a colour from the palette to the bottom of the Inkscape window. See image above. 4/ Select the Text tool to the left and type out your text, as in the image above. 5/ Whilst the Text tool is still active, the font style can be selected from the top left of the Inkscape screen (hightlighted in red), and the font size can be selected in the area highlighted in green. 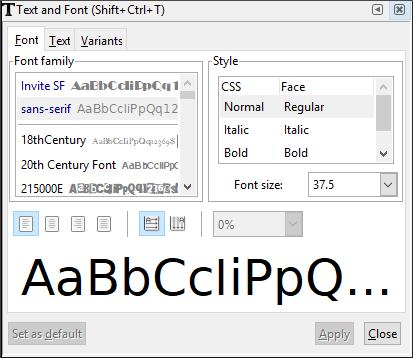 The font size can also be changed by simply selecting the text with the selection tool, grabbing a corner arrow, and dragging it. 6/ Another way of manipulating text is to click on the Text icon from the menu (highlighted in red, above). 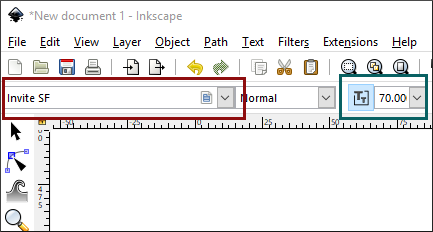 The panel below will appear to the right of the Inkscape screen. 7/ Using the Text Panel is self explanatory, and the areas where the font and text size can be selected are clearly visible. 8/ With the Selection Tool (the first tool option on the left vertical menu), select the text, then hold down the Shift key and select the circle. Both items should now be selected. 9/ Now select from the top menu, Text > Put on Path and your text will be added to the path of the circle, as in the image above. 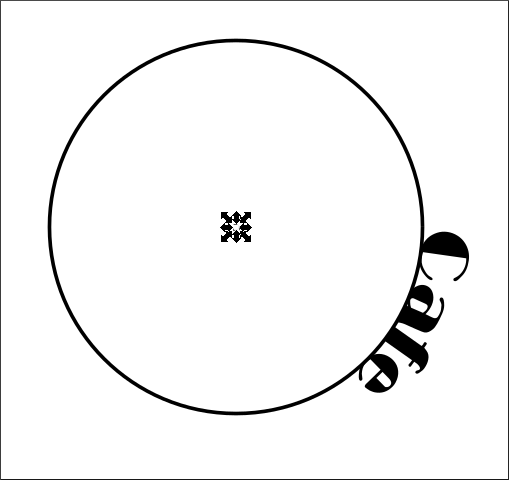 Although the text is on the path of the circle, if the text were to be selected and moved, it would not stay on the path. If we want to position the text where we want it on the path, we will need to follow the steps below. 10/ Select the circle then select Edit > Duplicate. 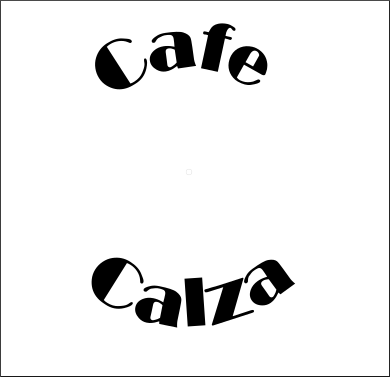 Now hold down Ctrl+Shift and drag the duplicate circle to the centre of the original. 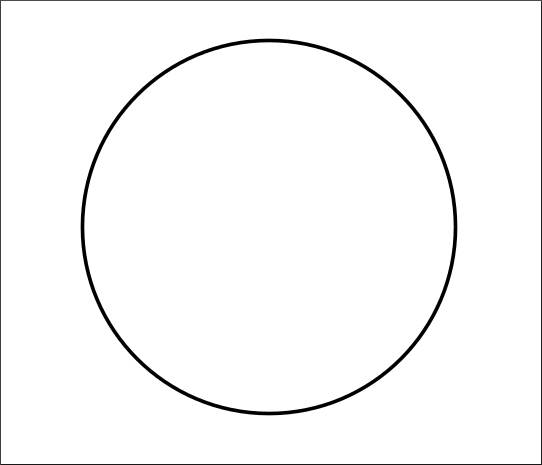 This new circle needs to be very small to mark the centre of the large circle. Holding down both Ctrl and Shift means the circle will keep the same centre as the original circle. 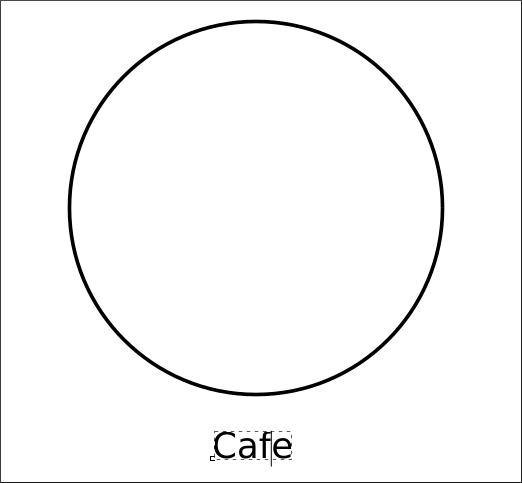 If just Ctrl is held, the new circle will not keep to the first circle's centre. 12/ Click on the text twice so the rotation arrows are visible. They will appear curved at the boundary of the text. 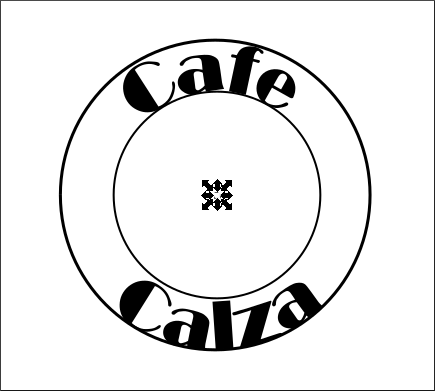 13/ The text will have a crosshair at its centre. Drag it into the small circle we placed at the centre of the larger circle. 14/ The crosshair is now placed at the centre of the circle, so if we now grab one of the text's rotation arrows, the text will follow the path of the circle and we can position it where we want it. 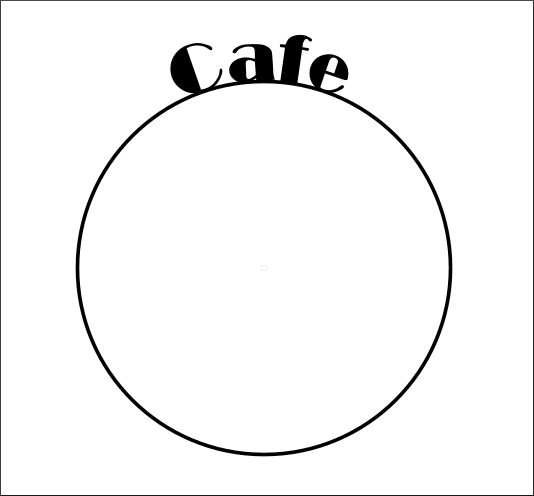 When we add text to a circular path it will by default be added to the outer path of the circle. However, there is a way to add text to the interior path. 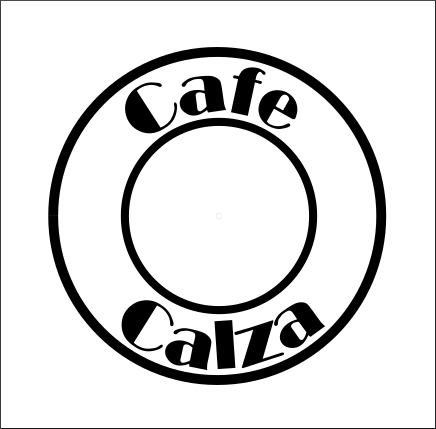 In this example we're going demonstrate how to do this by developing the above image into a basic logo. 15/ First duplicate the circle. 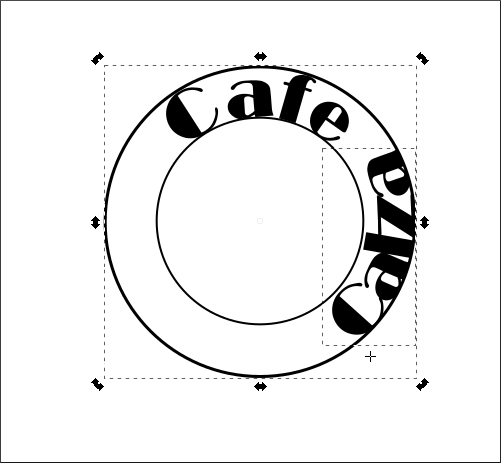 then hold down Ctrl+Shift and drag the circle until it just touches the top of the text. 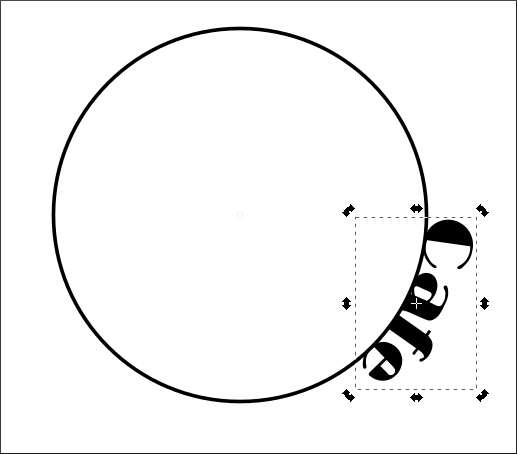 16/ Follow steps 2-13 above so that the text is added to the path of the circle we just created, and the text's crosshair has been placed into the small circle..
17/ Select the text and hold down the Shift key. Now select the circle, then hit the Invert icon on the top menu (highlighted in red above). 18/ The text should move to the interior path of the circle. 19/ When the text moves to the inner path, the crosshair will move away from the centre (highlighted above). Just drag it back to the centre of the circle and the text can then be positioned where you want it with the rotation arrows. 20/ When the text is added to the path its spacing may be affected. To fix this select the text then hold down the Alt key. Now place the cursor between the letters, then use the keyboards' left and right arrow keys to adjust their spacing. Compare the image above to the previous image to see how spacing can make a difference. 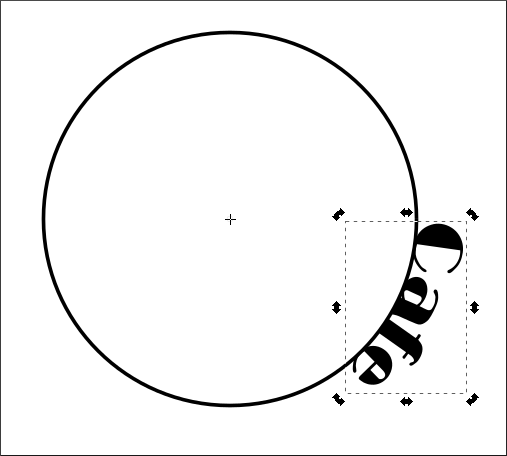 21/ Because the text relies on the circles' paths to remain circular we can't delete them. However, they can be hidden. 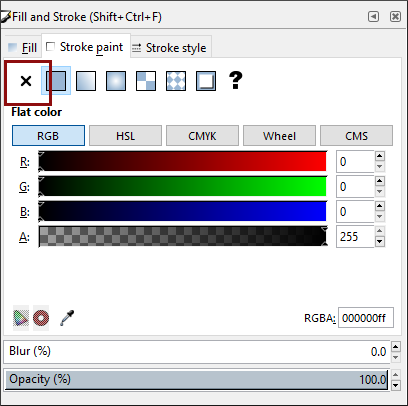 Select one of the circles, then to the right of the Inkscape window select the Stroke Paint tab. Now hit the X option. This won't remove the circle's path, it just removes its colour. Repeat for the other circle. 22/ The tiny circle we used as a guide is no longer needed, so select and delete it. 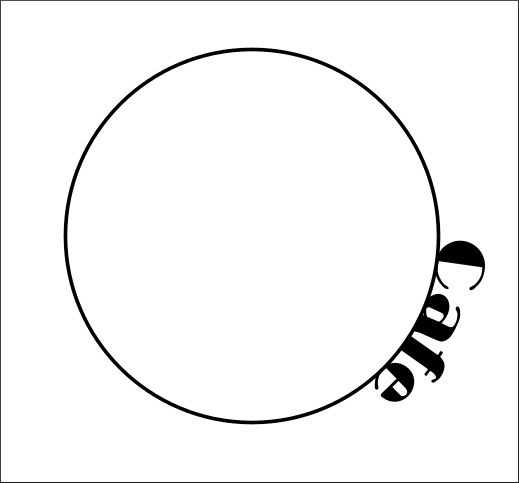 23/ This is what the text looks like with both circles hidden and the centre guide removed. 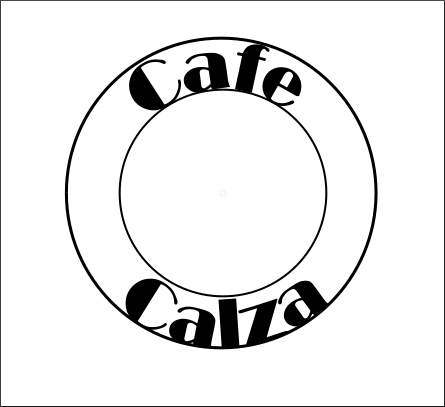 24/ To finish off the logo an inner and outer circle have been added to frame the text. In fact these circles were created by duplicating the circles we used as paths, just before they were hidden. 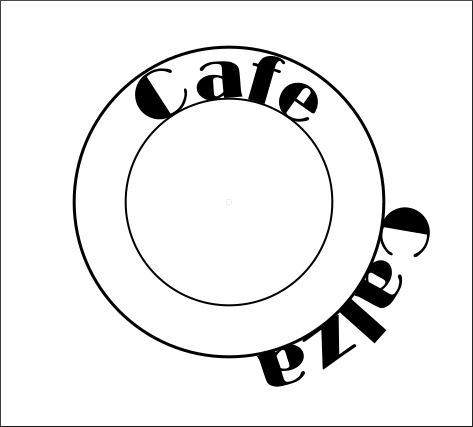 The stroke paths of each circle was increased to around 3px and positioned so there's a space between them and the text. The image at the top of this page shows how this basic logo has been reworked to make it a little more appealling, and gives some idea how once text has been added to a path it can be further enhanced.